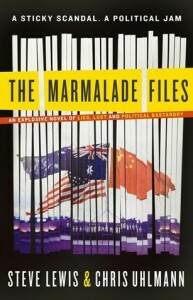 Chris Uhlmann and Steve Lewis‘s political thriller titles The Marmalade files and The Mandarin code (newly released), are being adapted into mini TV series Secret city by Matchbox Pictures and Foxtel. ‘A sticky scandal. A political jam. An imaginative romp through the dark underbelly of politics by two veteran Canberra insiders. 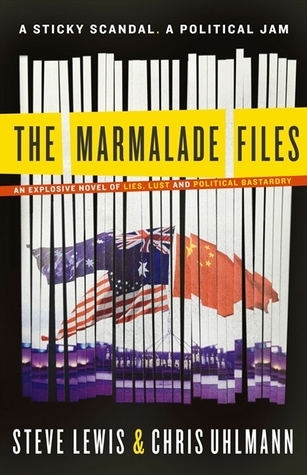 The Marmalade Files are documents that allegedly exist within the bowels of Foreign Affairs & Trade that have been around for a half century. When seasoned newshound Harry Dunkley is slipped a compromising photograph one frosty Canberra dawn he knows he’s onto something big. In pursuit of the scoop, Dunkley must negotiate the deadly corridors of power where the minority Toohey Government hangs by a thread – its stricken Foreign Minister on life support, her heart maintained by a single thought. Revenge. Rabid Rottweilers prowl in the guise of Opposition senators, union thugs wage class warfare, TV anchors simper and fawn … and loyalty and decency have long since given way to compromise and treachery. From the teahouses of Beijing to the beaches of Bali, from the marbled halls of Washington to the basements of the bureaucracy, Dunkley’s quest takes him ever closer to the truth – and ever deeper into a lethal political game. Award-winning journalists Steve Lewis and Chris Uhlmann combine forces in this arresting novel that proves fiction is stranger than fact. 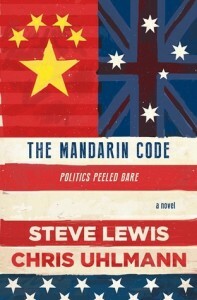 The Mandarin code – the second darkly satirical thriller from The Marmalade Files. POLITICS JUST GOT DEADLY. A body pulled from the murky waters of Lake Burley Griffin links Canberra, Beijing and Washington in a titanic struggle where war is just a mouse click away. Veteran reporter Harry Dunkley is chasing the scoop of his career, hunting for his best friend’s killer. Navigating treacherous political waters where a desperate minority government edges ever closer to disaster, he delves into a cyber world where there are no secrets. Friendship and loyalty give way to betrayal and revenge as Dunkley stumbles into the sights of the mandarins who wield real power – and who’ll stop at nothing to retain it. 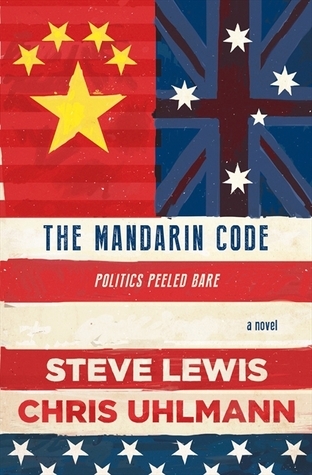 Political insiders Steve Lewis and Chris Uhlmann bring biting wit and behind-the-headlines insights to this sharply observed sequel to the bestselling The Marmalade Files, once again lifting the veil on the lust and lies that stain the corridors of power. This entry was posted in Australian Authors, Fiction and tagged Author, books, Chris Uhlmann, Parramatta City Library, reading, Steve Lewis, The Mandarin code, The Marmalade files, Writer by admin. Bookmark the permalink.